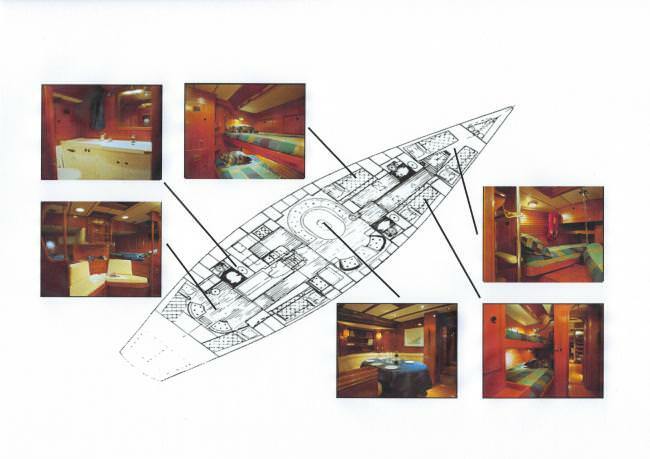 Accommodation for eight guests in 4 double cabins, 3 cabins with their own head and shower, the 4th cabin shares head & shower with the others. Close relationships are often developed between our guests and the crew. 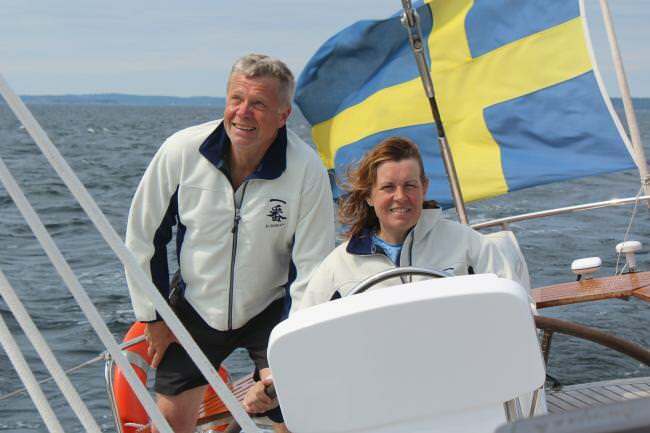 With some of the every-year-returning-guests we experience a friendship which reaches far outside the days of sailing. When choosing our crew we look for people with experience of life, a curiosity for other people's stories and an ability to listen. We find those characteristics important for being able to create interesting relationship between people. Janne likes challenges, either it is in stormy weather or running comprehensive IT projects for the government. After thirty years of giving people the opportunity to be a part of his experiences from the sea he conveys a feeling of rough seamanship together with a warm welcoming. With Janne you never feel the atmosphere is uncomfortable or feel like a beginner a board, he explains it all to you patiently. Kerstin´s mix of experiences has created a personality that sets an atmosphere a board built on our key phrase, customer care. She serves newly baked bread for breakfast and in the afternoon the yacht again has an aroma of a bakery. She anticipates the guests and their needs either it is a question of an extra quilt or a particular tea for breakfast. When Kerstin serves her three course meals with a smile on her face she personifies the expression "A Happy Ship". Other Entertain: Fantastic table on aft deck, accommodating ten guests.